In this photo you see the real dynamic me, the feline that can do it all, the face that launched a thousand tuna fish tins, whiskers that have been trained to collect the sound waves from the atmosphere and transfer them into magnetic signals to influence all felines within meowing distance, if only they would listen. My mum said my destiny was to go places and see things and to conquer my surroundings with my creative gifts. Mum was right, but not in all details. The only place I have been up to now was the vet and that was not a very happy experience, neither for me nor the vet. He jabbed me in my private parts and I jabbed him with my claw. I think he had to have a tetanus injection afterwards, which served him right. I have seen lots of things like the edge of my bed, my food bowl and water bowl and walls which are very good for conversations, but only if you stare at them long enough. My creativity is mainly the assembly of hairballs. They can be in various colours, according to the construction, what I have chewed and how I am disposed. 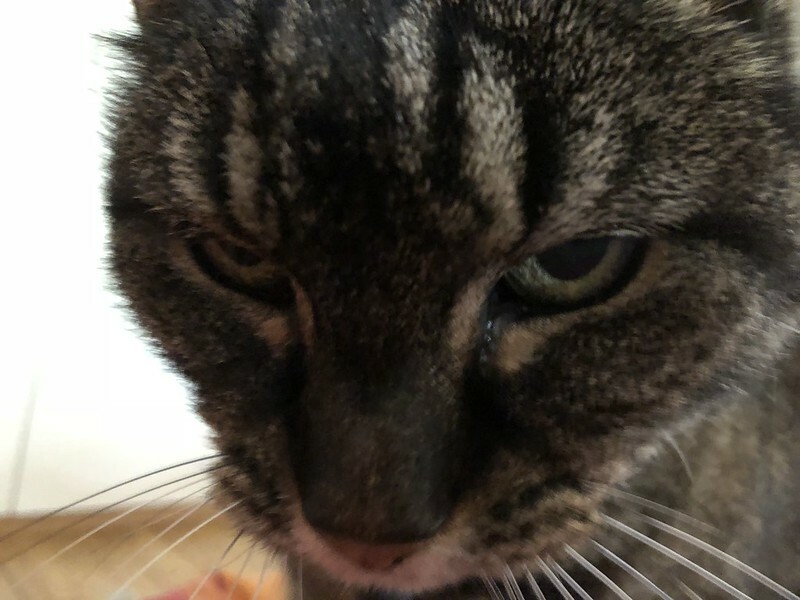 Mrs. Human does not appreciate them she finds them disgusting, but I also do not appreciate the vitamin pellets she is force feeding me on because according to the human theory they are good for me. Otherwise I am an action packed feline, always ready to go on adventures, explore the world around me and analyse the contents of Mrs. Human’s clothing cupboard, especially the one with the soft piles of pullovers to lay on. Otherwise the biggest success in my feline life has been sleep up to now. I can sleep for hours and have never suffered from catsomnia. Most of my adventures take part in my dreams, but one day they will all talk about me and what a fantastic, unique member of the feline race I am. And now I will leave you to read my great words and digest them, and do not forget, I am always watching you. Tabby–you never disappoint. Yes, you are most dynamic.